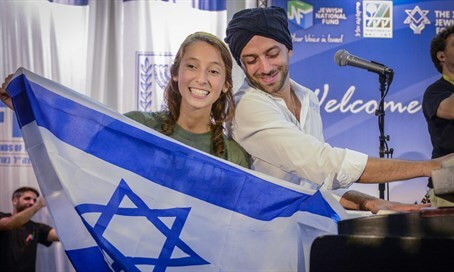 A citation will be conferred by the B’nai B’rith World Center upon Israeli musician and composer Idan Raichel in recognition of his contribution to fostering Israel-Diaspora relations through the arts. The citation will be presented at B’nai B’rith World Center’s 24th annual Award for Journalism Recognizing Excellence in Diaspora Reportage in Memory of Wolf and Hilda Matsdorf. Raichel is very influential in the Israeli cultural world. In a relatively short period of 15 years, this multi-talented artist has become one of the most outstanding musicians in Israel, and one of the most successful Israeli artists abroad. As a producer, keyboardist, lyricist, composer and performer, Raichel created a unique and superb stage presence that was new to the Israeli music scene. The worldwide collaborations that Raichel has created throughout his career have made him a cultural ambassador for millions of fans, hoping to represent a hopeful world, in which artistic collaboration breaks down barriers between people of different backgrounds and beliefs. He fuses inspiring biblical and original texts with Jewish, African, Latin, and Indian melodies and rhythms to create a winning combination of Israeli and world music in numerous languages. He has sold nearly 650,000 albums in Israel and around the world to date, generated over a million digital downloads, and his YouTube videos have more than 50 million views. The Idan Raichel Project represents the beating heart of a conflicted region that has become a source of inspiration for younger generations, aiming for a better future. This is true for international audiences who are enriched by Raichel’s energy and see in him an exceptional vision of Israel open to the world. Their excitement during the many performances Raichel has made to “Birthright” and “Masa” audiences is contagious. This is a testimony to their familiarity with the vast body of his work that has already entered the pantheon of Israeli music. The special citation for fostering Israel-Diaspora relations through the arts was established by B'nai B'rith World Center in 2014. To date, citations were conferred upon Norit Hirsh (2014) and David D'or (2015).